There is nothing worse than a player who won’t or can’t listen. Because successful communication with your players is crucial, it pays to have some insight into the field of knowledge called communication. This field of knowledge has much to teach us, including the fact that, although we all have the ability to receive as well as transmit messages, many of us—especially coaches—are more skilled at transmitting than receiving! We might improve ourselves as coaches simply by becoming better listeners! Also, we know that body language, posture, and gestures (nonverbal communication) are all very important in transmitting messages to others, especially messages of enthusiasm and commitment. What we say or do usually carries with it an emotional message. For example, some people can convey intense anger with a softly spoken word or inject humor into the most violent-looking gestures. We want to highlight three types of communication that will enable you to gain access to the minds of your players. These three types, which are often combined, are verbal, visual, and physical communication. As coaches, we probably use verbal communication more than any other method. We know from experience that talking with players, rather than at them, can be one of the most effective means of communication. When you tell players what to do, always consider how they will receive your message; try to anticipate their reactions. Receiving good news is always pleasant; we all enjoy being praised, provided that it is sincere praise. When you see a successful performance, stop the practice and explain and demonstrate why the performance is successful. We call this the double positive approach because you simultaneously reinforce the player for good play while establishing the correct points of technique for the benefit of all players engaged in the practice. However, players do make mistakes. When coaching players who can be especially sensitive, try to correct mistakes without discouraging them. If you go directly to the negative—the failure or mistake—you can very easily make a player feel insecure to such an extent that he may avoid trying again. Instead, begin with a positive opening remark before you correct what the player is doing wrong (e.g., “Good try, but . . .” or, “Yes, that move was OK, but . . . ”). By giving an encouraging opening comment, you make the player feel secure and thus receptive. To be really effective, you must open the player’s mind to advice. In this way you avoid creating the closed mind of the irritated or reluctant player, whose negative emotions might momentarily interfere with cooperation and reason. In our view, the double positive approach is the most important of all of the strategies. If you can spend most of your coaching life looking for and positively reinforcing what is right, good, and correct, then you are much more likely to be a happy, successful, and respected coach. We believe it is a mistake for any coach to continually tell players what they should be doing. You can often achieve far more by asking players rather than telling. We recommend what is known as the question-and-answer technique. 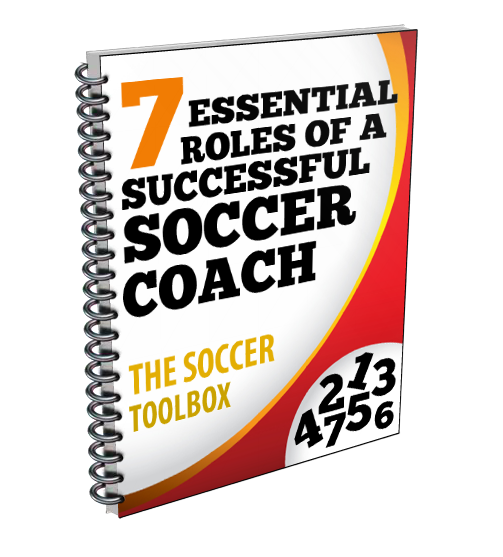 For example, if you ask your players a question such as, “Who can tell me why that was such a good pass?” or “What defensive systems are our opponents using?” you will achieve two objectives. First, you will elicit the correct technical diagnosis; and second, by involving the players in the discussion, you will encourage them to develop their own powers of observation and critical analysis. Getting players to appreciate and develop their own knowledge of the game is surely at the heart of good coaching, and the question-and-answer technique enhances this process. Simplicity. Emphasize only one major point and perhaps one minor point each time you demonstrate. Bring out additional features in the next demonstration. Reasonable goals. Your demonstration should always set goals that are within the ability of your players. Appropriate body language. If you want players to move quickly and urgently, demonstrate the correct pace and tempo of the movement. If you want to stress calmness and composure, let your body movements and your voice convey these qualities. Talking while demonstrating. This enables you to draw attention to key points while you are actually demonstrating them. Refraining from overdemonstrating. Restrict demonstrations to one or two repetitions. You may occasionally need to demonstrate a skill three times, but four or more demonstrations will usually bore your audience. What if My Demonstration Goes Wrong? Always try to rehearse in private. If you need a server, practice with that person. If the server makes a mistake in the actual demonstration, don’t try to compensate; stop and try again. Before you demonstrate, say to the group, “I may need two or three attempts to get this demonstration right.” If you alert the group to the possibility of failure, it won’t be a disaster if you fail. Furthermore, this implies that the players too must be prepared for failure and that failure is not necessarily a bad thing. Of course, succeeding the first time is a bonus. Stop after your third unsuccessful attempt at demonstrating. Don’t keep on failing! If you are not successful by the third attempt, start the players working with a comment such as, “Sorry, it’s not going well for me today, but you can see what is needed!” No one is perfect, and the players would rather practice themselves than watch you fail. A sincere coach has nothing to fear from an occasional failure. What Do I Do if I Simply Can’t Demonstrate? The ability to give good demonstrations is a priceless asset. There are limits, however, and no one who is seriously interested in coaching soccer should be discouraged by an inability to demonstrate. You would not, for example, expect every track coach to sprint 100 meters in under 10 seconds! What matters most is that you know what should be done and why and can get that knowledge across to your players. If you do not feel confident enough to demonstrate, consider using a preselected demonstrator, the discovery approach, a group challenge, or visual aids. Preselected Demonstrator: Select a good performer, take him to one side, and have him rehearse the skill or movement several times. Then let this player demonstrate for the entire group. Discovery Approach: With this method you introduce the topic and start the group off without an introductory demonstration. For example, to coach accuracy in passing, you might start with the players in pairs passing to each other, or you might organize mini-games of 3-on-3. As the players pass, watch for players who pass accurately; then stop the practice and ask the accurate passers to demonstrate for the others. Group Challenge: Give small groups of players the same task. After a set period of time, let each group demonstrate in turn. In this way you will produce a number of tactical moves to discuss with the players. Further, you will have challenged your players’ initiative. Visual Aids: Coaching videos, handouts, and charts are useful, but you must use them with care. Examine them in advance, and show only sections you want students to see. Showing a video of a complete game can often be a waste of time, for example—be selective. Physical communication involves guiding players’ limbs through the correct movement. This is more important when coaching younger players. Young children must discover how to perform new skills, and they learn more by doing and feeling the correct pattern or shape of the movement than by listening. This technique affords a special advantage when coaching younger players. Young athletes really respond to being coached by someone who is literally on their own level rather than someone towering above them and perhaps talking down to them in more ways than one. The overriding strategy is really quite straightforward: observe the players, diagnose their strengths and weaknesses, and then select the methods of communication you think will best suit the group at that particular time. Then, depending on their skill levels, concentrate on making each drill a little more demanding than the previous one.